To engage in the Great Commission of Evangelism through a number of avenues, including an evangelistic tract ministry. To assist others in learning to share and defend the gospel through apologetics and evangelism training. To speak out for biblical truth and moral justice and against attacks on our Christian beliefs including secular humanism, evolution, atheism and the homosexual agenda. 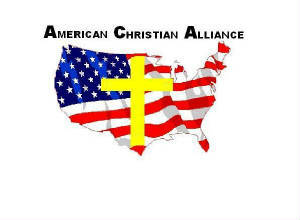 To engage in activism, public education and awareness campaigns and mobilize Christians to stand up and speak out for traditional American and Christian values. To return to the Christian and American traditions and values that made the United States of America great. To maintain involvement in the ongoing study of Bible prophecy. To encourage biblical based solutions to contemporary social issues (crime, divorce, drug abuse, etc.). To return prayer and the Ten Commandments to our schools. To empower and strengthen families and marriage with bible based solutions to contemporary issues. To limit government interference in family related issues. To the passing of a constitutional amendment defining marriage as the union of 1 man and 1 woman. To pray for and support members of the military and their families.